Last weekend I visited the Field Museum in Chicago. It may come as no surprise to some of you that this museum completely blew my mind. My friend Willard and I spent almost the entire time in their "Evolving Planet" exhibit, which walked us from the formation of the earth through to the present day. Afterwards we talked about asteroids and looked at some wicked crystals. Anyhow, the most surprising discovery from this visit concerned Dimetrodon, which when I was a child was one of my favorite dinosaurs from my extensive collection of plastic dinosaur toys. 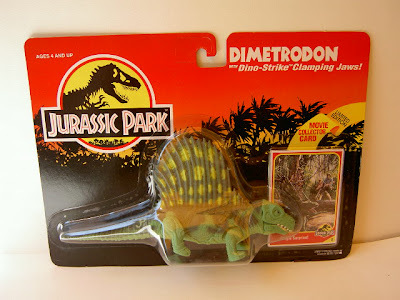 My Dimetrodon toy looked vaguely like the one below, minus the "Dino-Strike Clamping Jaws". What an awesome sail on his/her back, right? Coolest dinosaur ever, or so I thought until my weekend stroll past the "Synapsid vs Diapsid" section of the evolving planet exhibit. It was in this section that one of my childhood dino dreams died, and out of the ashes rose what I like to call the phoenix of discovery! I discovered that Dimetrodon was not a dinosaur, but was instead our ancestor!!!!! While that sinks in, here are some cool Dimetrodon pictures. Crap! Here I am in the year 2010, no flying cars, no hoverboards, I am pissed! Nobody has even levitated anything yet! 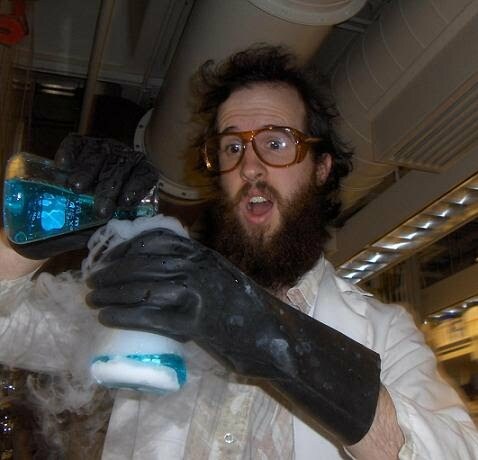 They are able to do this by taking advantage of a property known as diamagnetism, which is possessed by many materials. Many common things such as wood, plastic, and water are all diamagnetic (frogs are mostly water). Diamagnetic objects are repelled by magnets. Diamagnetism can be thought of as the opposite of ferromagnetism, which is the property possessed by objects made of many metals such as iron and nickel. Ferromagnetic objects are attracted to magnets. However, this attractive, ferromagnetic force is much stronger than the repulsive, diamagnetic force. So, in order to manipulate diamagnetic objects, you need STRONG magnets. The Dutch scientists used a 16 Tesla magnet, which is around a million times more powerful than a pretty strong refrigerator magnet. For more on this experiment, visit the Radboud Univeristy Nijmegen High Field Magnet Laboratory page.